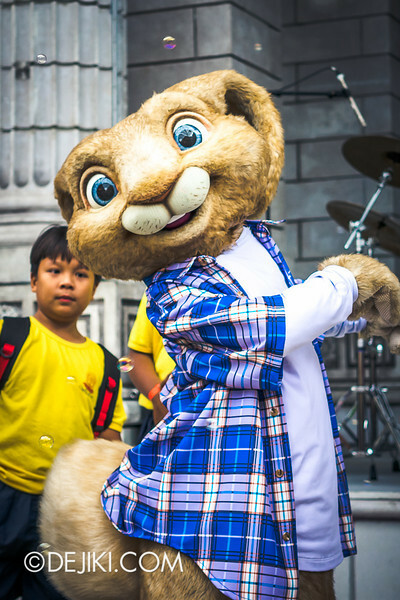 Universal Studios Singapore will be celebrating Easter with an all-new festive event from 18 April – 13 May, plus a special programme over Easter weekend. 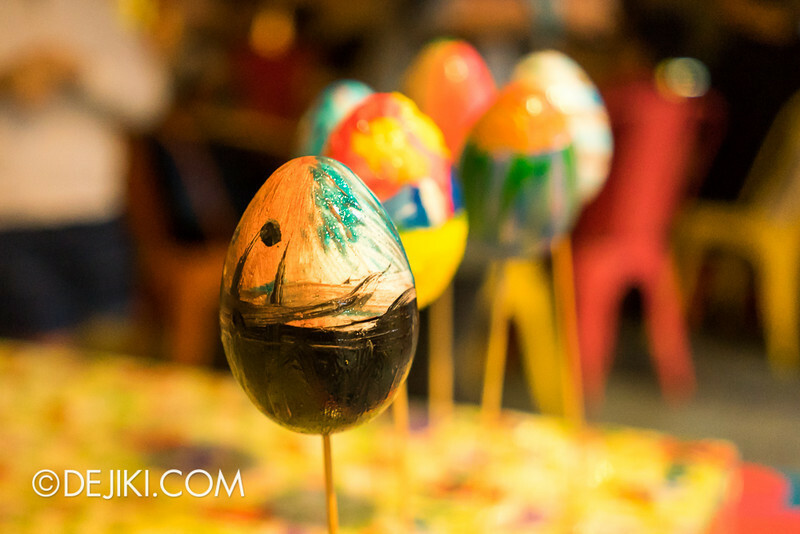 Find out more about the park’s Easter Egg Island, Easter Egg Hunt and more! 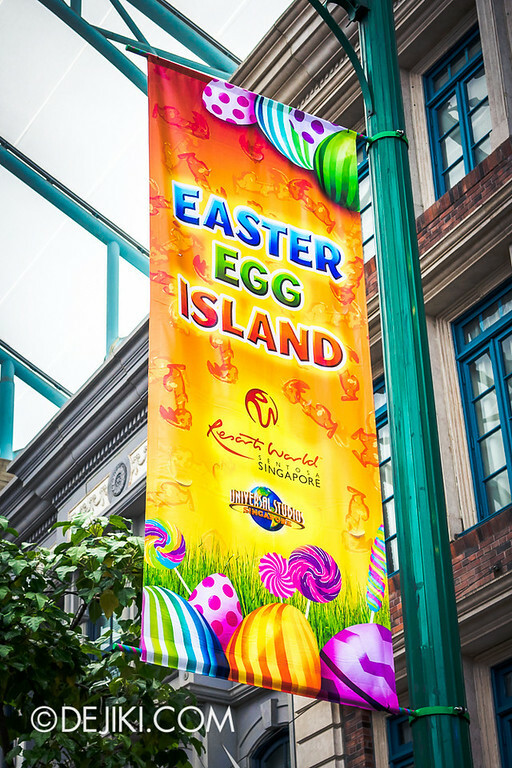 Where is Easter Egg Island at Universal Studios Singapore? It spans the entire park, actually. Check out this elaborate display at the end of Hollywood Boulevard. Turn right to New York, for a street filled with colourful banners. 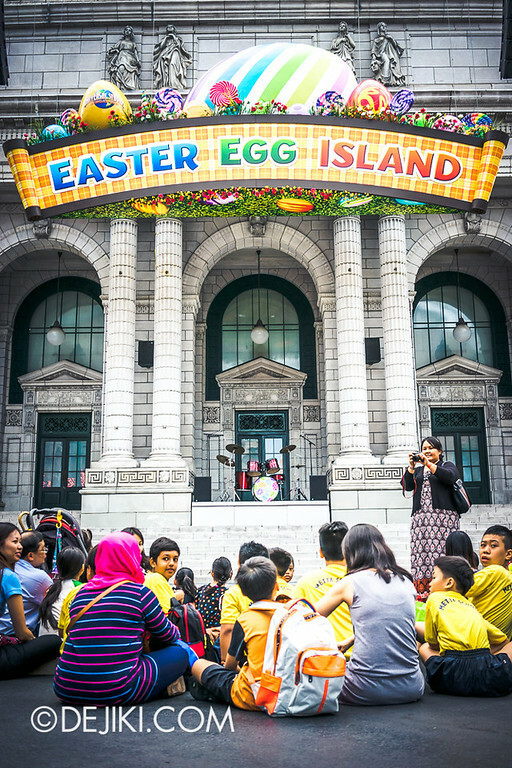 We’re all waiting for the Easter Eggstravaganza show to start. 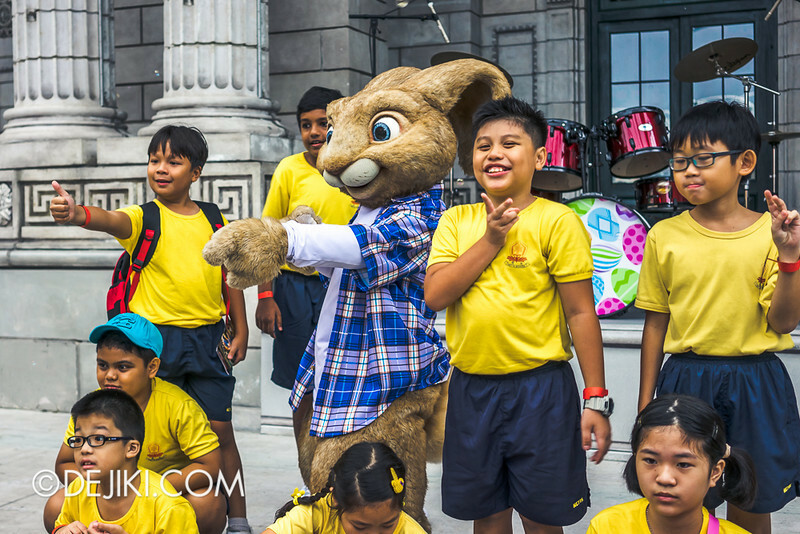 As part of a preview, RWS has invited 70 children from Metta School to take part in the Easter festivities! The kids were happy and excited to meet E.B! 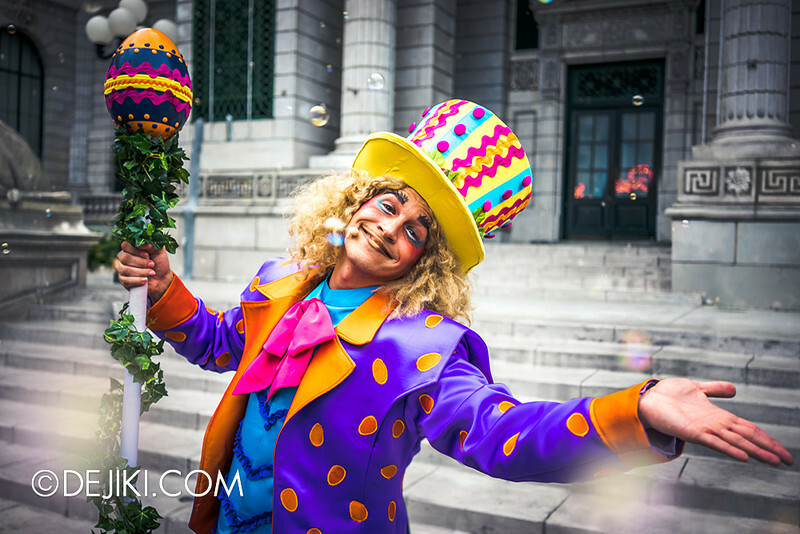 And then we have the whimsical Egg Lord. 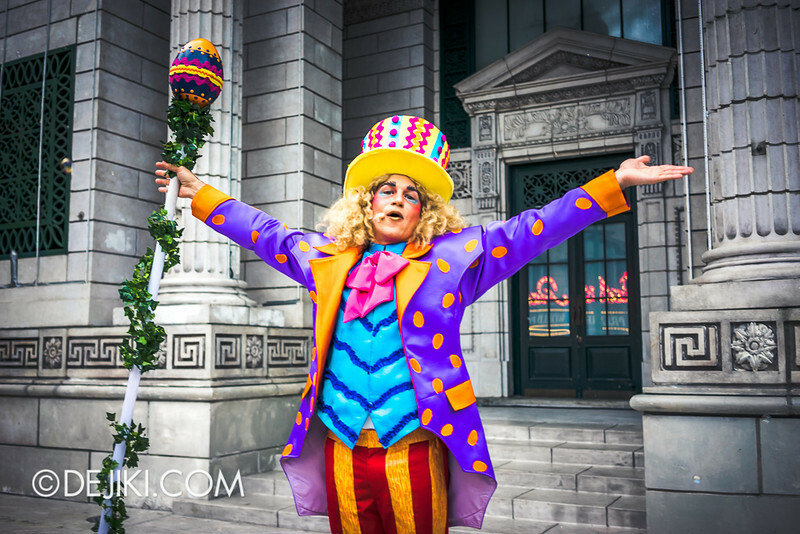 If you have someone pretend to be both the Mad Hatter and Willy Wonka at the same time, this is probably what will happen. Apart from having an outlandish fashion sense, he is also egg-tremely punny and has to egg-ercise his every right to include “egg” in almost every sentence. 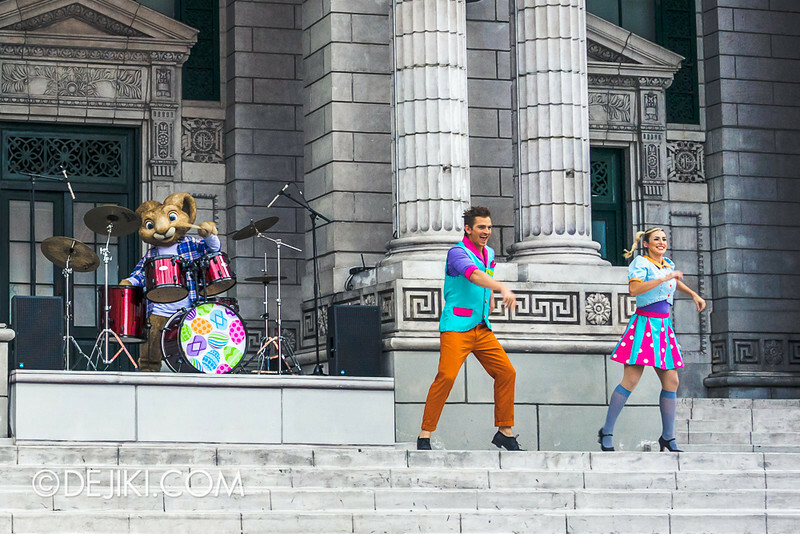 Both characters will be at the park’s New York Library Stage during performance times, with a short Meet and Greet after each show. 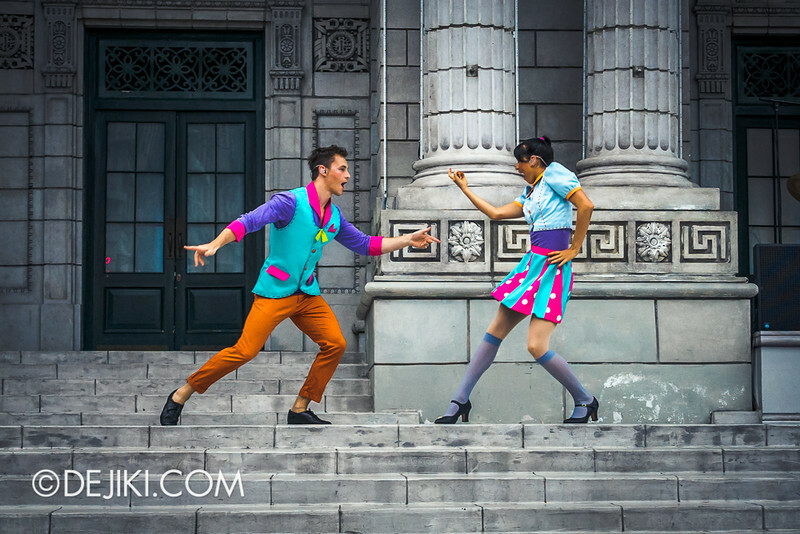 For performance and meeting times, please check at the park on day of visit. 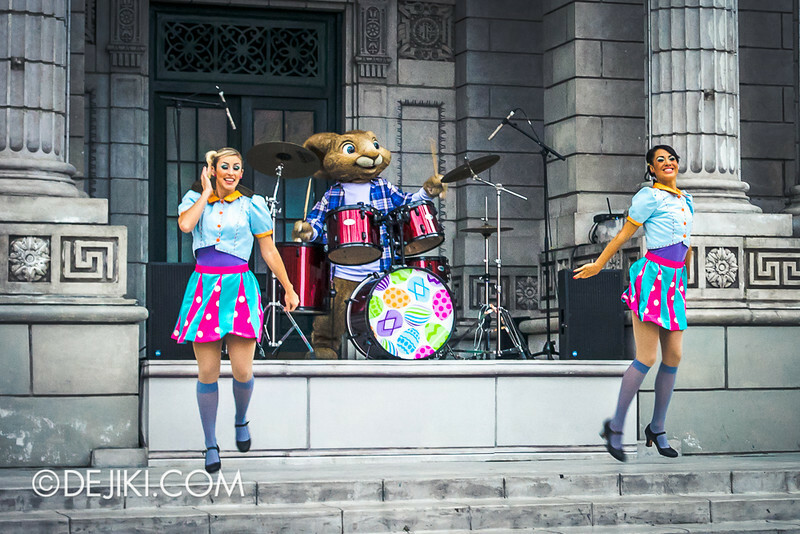 Join the Egg Lord, Easter Bunny and his group of dancers as they sing and dance to a cheerful line-up of songs. 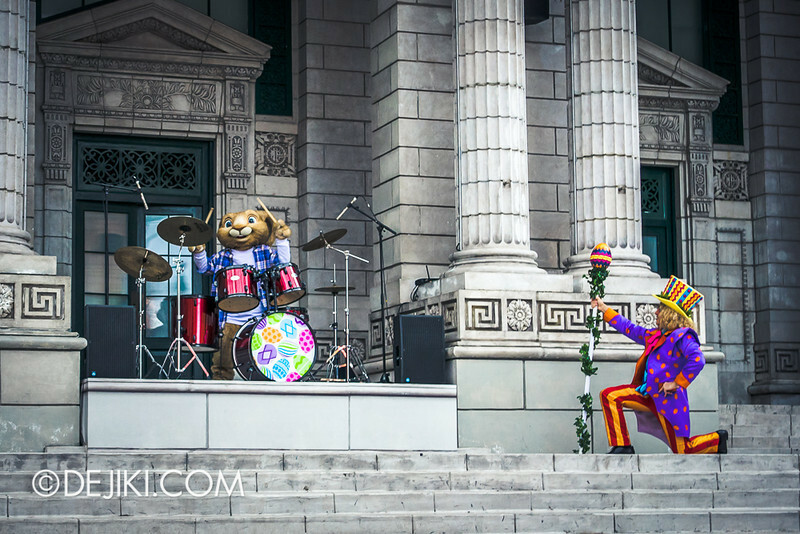 This is a new show that’ll be performed throughout the park’s Easter season (18 April – 13 May). 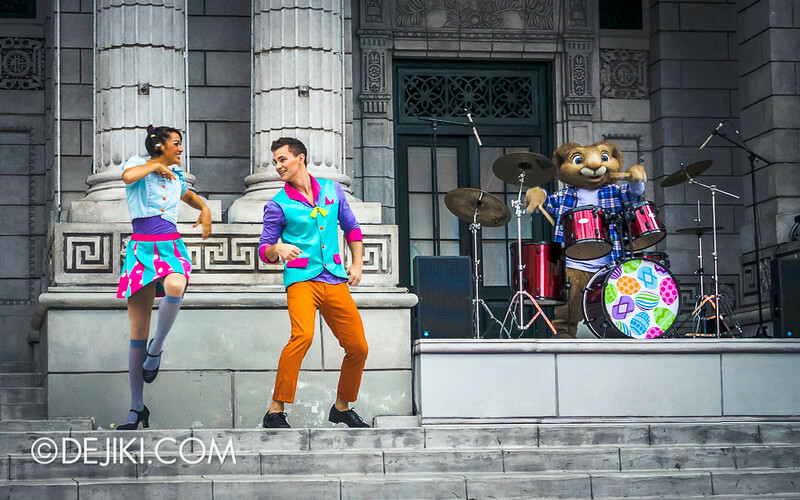 I felt that this show is better produced than last year’s Christmas Show (Sesame Street saves Christmas), due to its simplicity and length – kids won’t lose their attention, adults won’t lose their patience. 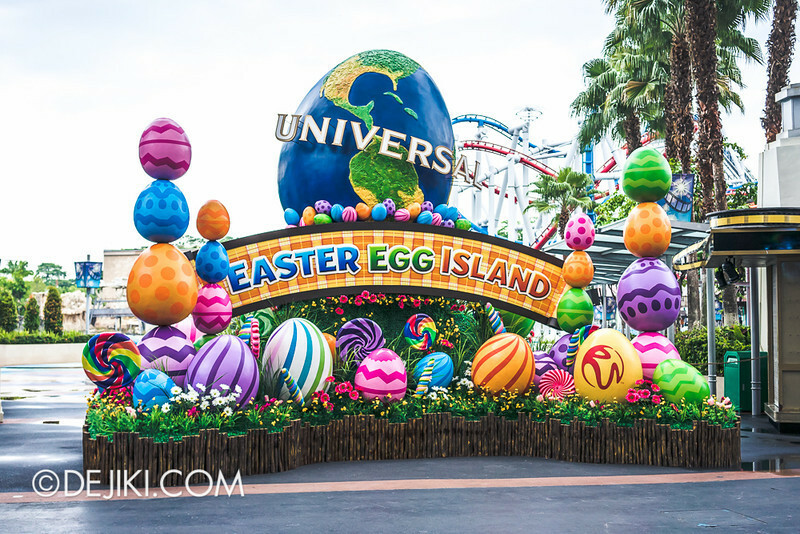 For the complete USS Easter experience, there’s Easter Weekend Special. 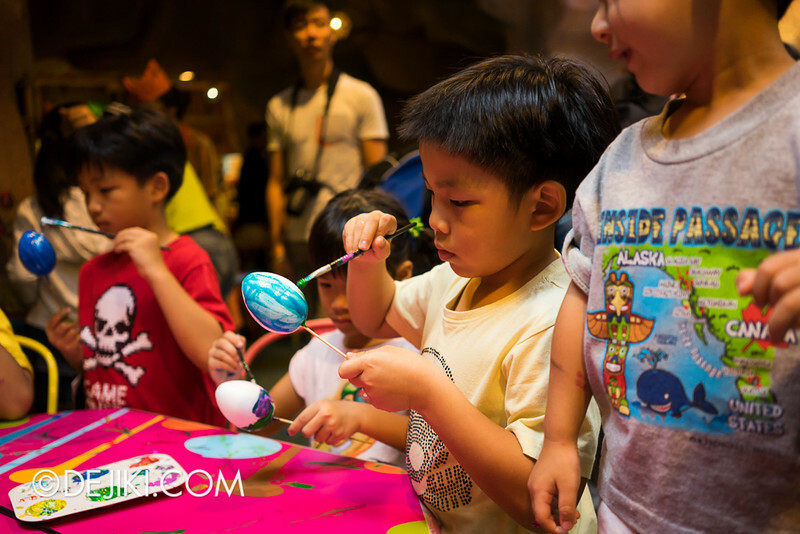 This programme promises a fun-filled morning and includes the egg hunt, egg painting and breakfast. It will be available on 18, 19 and 20 April 2014. 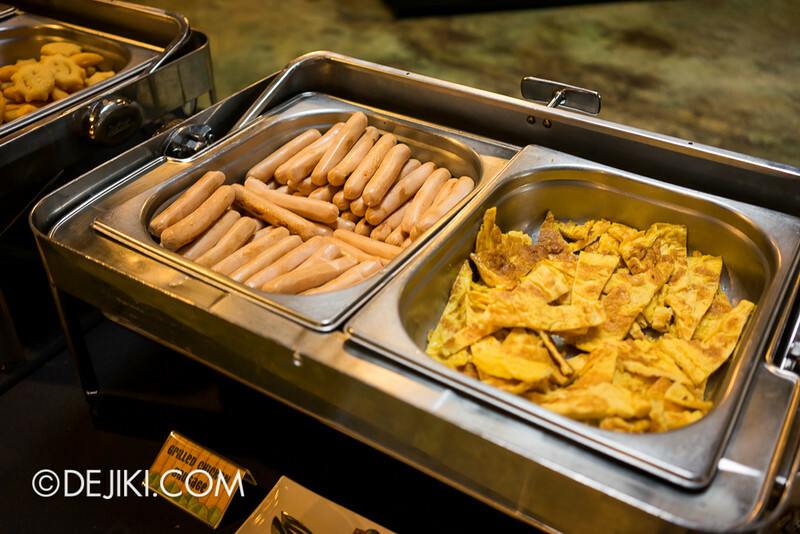 Kick start the day with a breakfast buffet at Marty’s Casa del Wild food court in Madagascar zone. Have a look at the menu here! 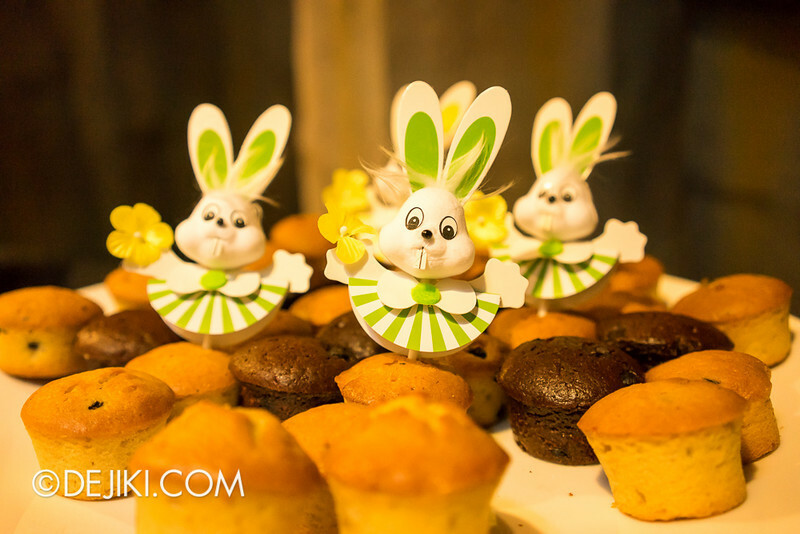 Muffins with bunny cake toppers on them. 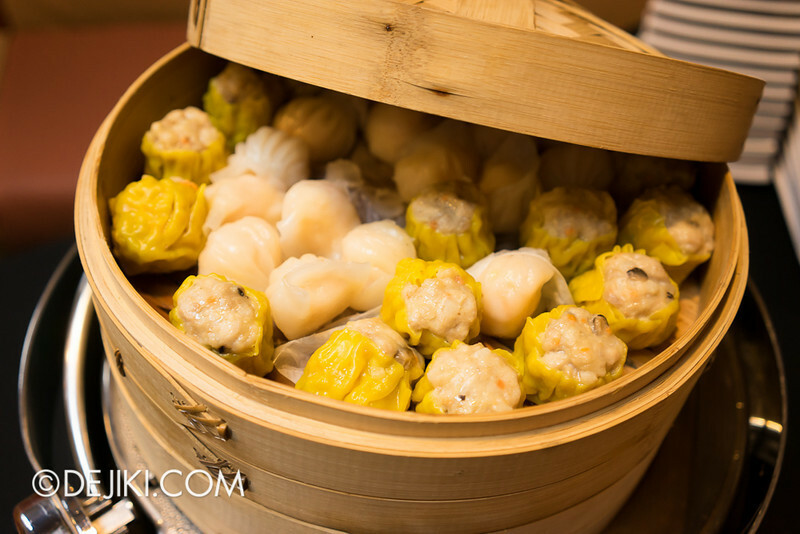 There’s also the other usual stuff: Salads, fruits, cold cuts, cereals, dimsum and an omelet bar. 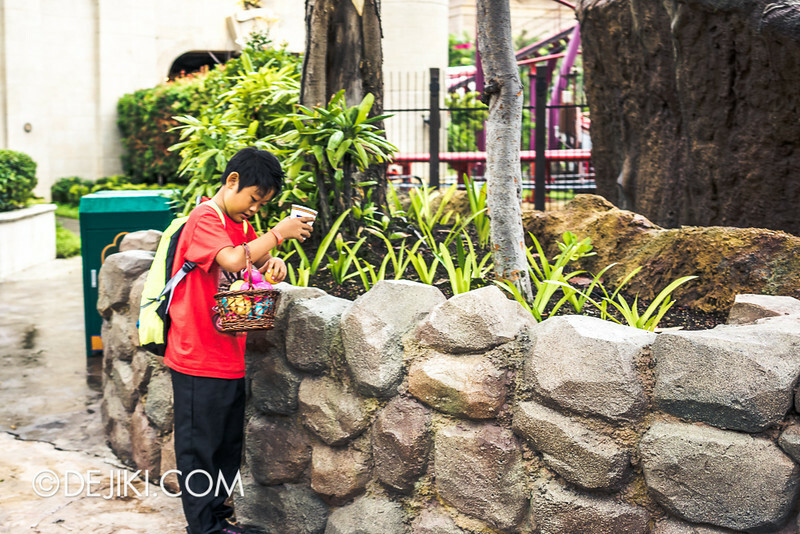 After breakfast, you’re free to roam around the park for the egg hunt or stay at Marty’s to paint eggs. 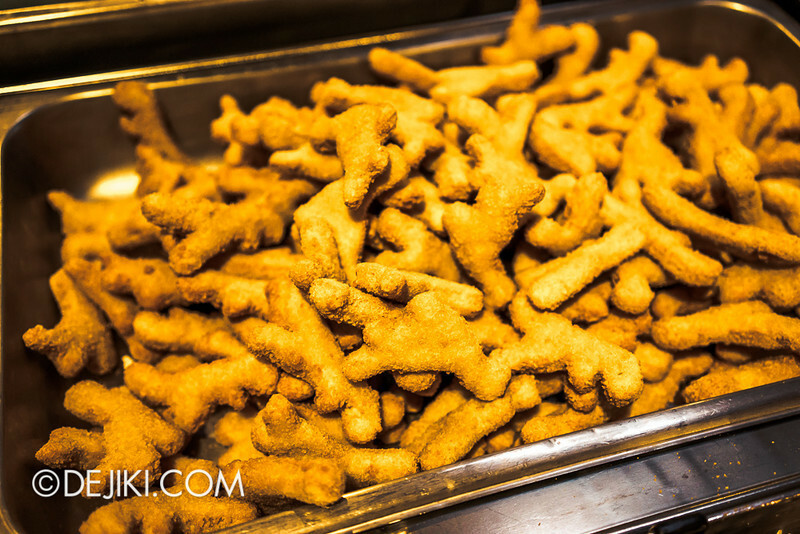 Essentially, you have 2.5 hours of free-and-easy time at the park and Marty’s is your headquarters to rest and refuel. Buffet will be served until 10:30AM. 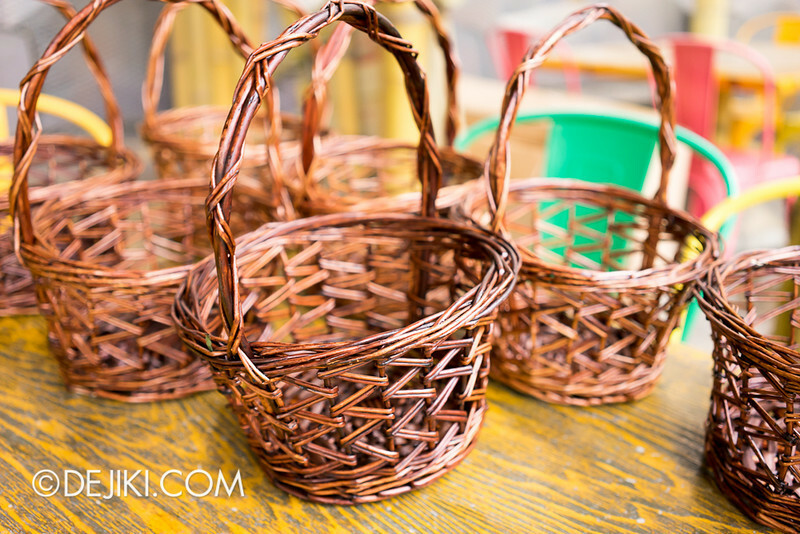 Time to grab a basket! By the way, baskets will be given out until 9:30AM. 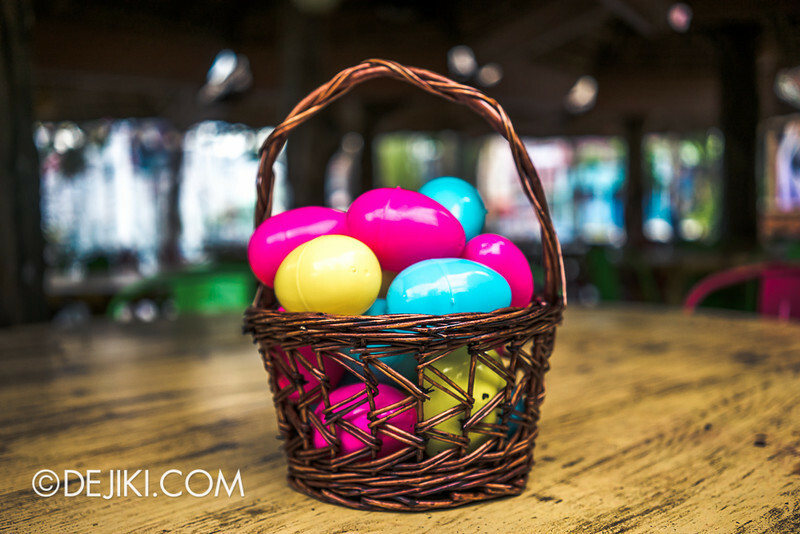 You can keep any eggs you’ve collected during the egg hunt. 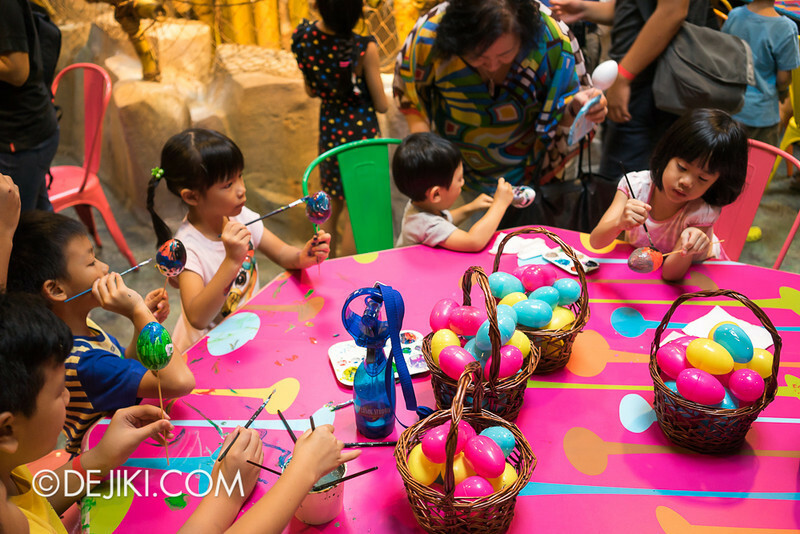 As we participated in the preview egg hunt, it was conducted on a smaller scale. 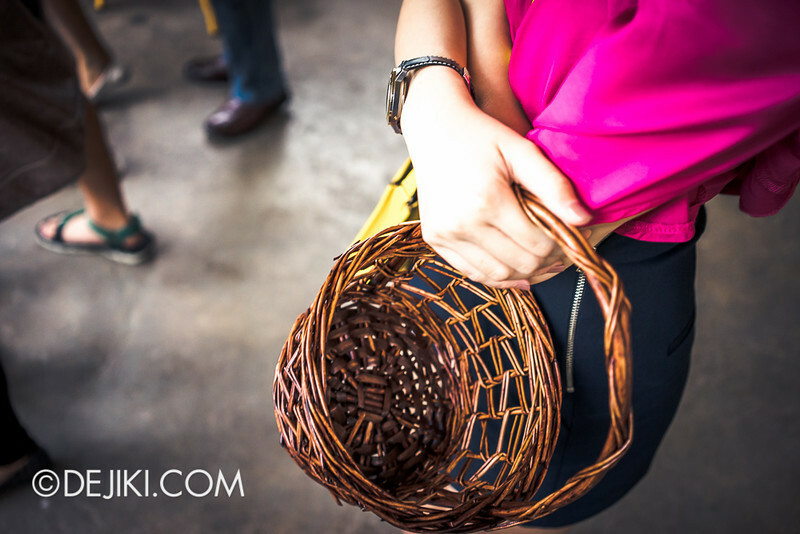 We filled up our basket just by walking across the walkway. 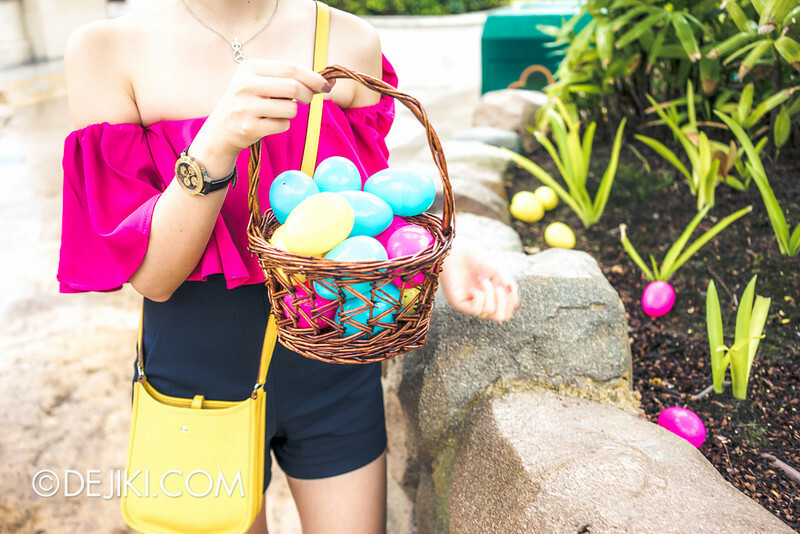 The real event over Easter weekend will have eggs scattered all over the park (and probably not so many at a single spot). 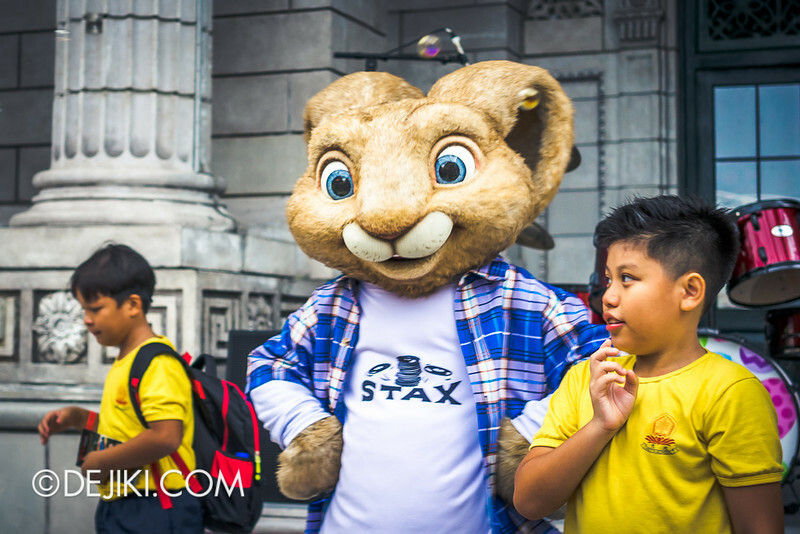 It’s a great photo-taking opportunity, since you’ll have the park to your family and other Egg Hunt participants! 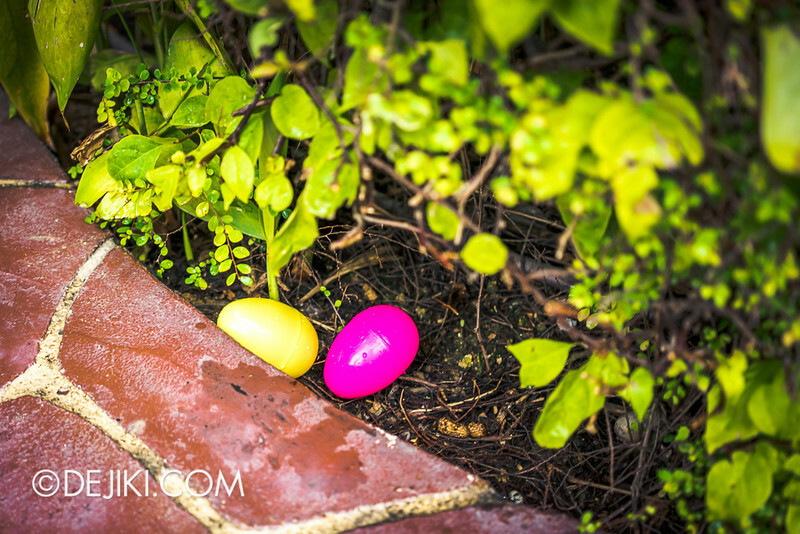 Search around the park’s planters for eggs! 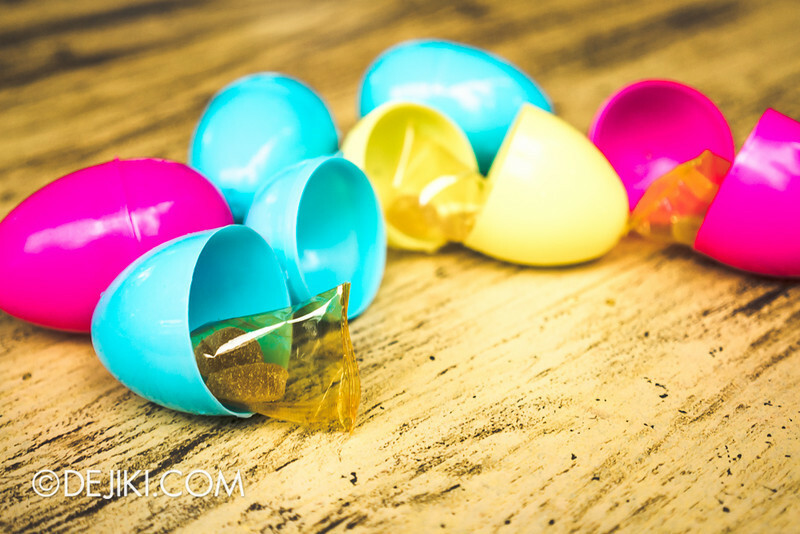 The eggs are not real eggs (of course), but plastic shells that open to reveal… candy! 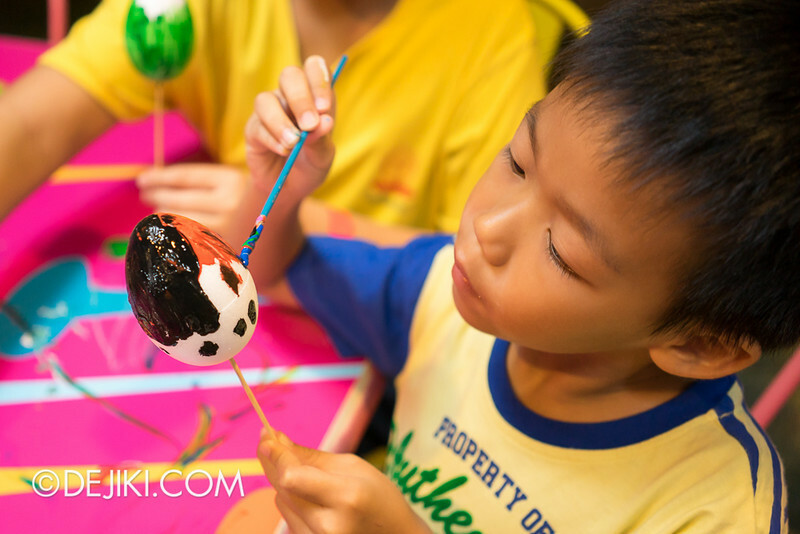 Those with an artistic flair might want to try egg painting instead. 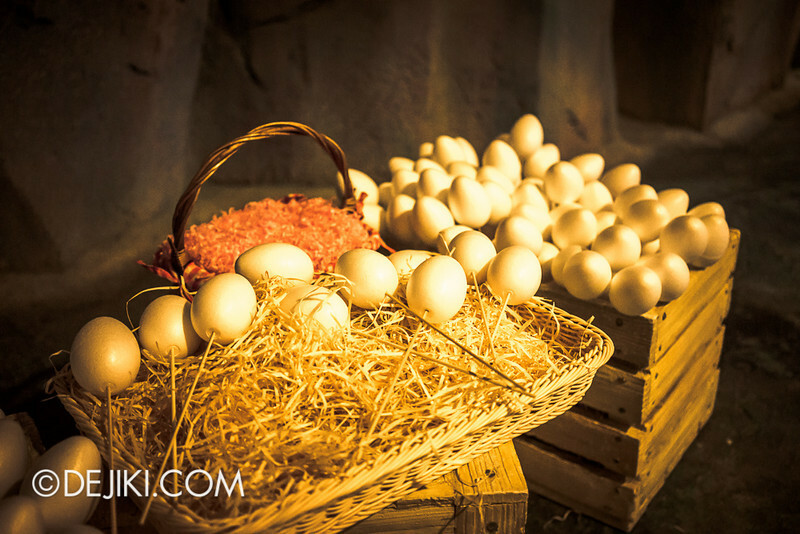 Baskets of plain eggs to get started with. 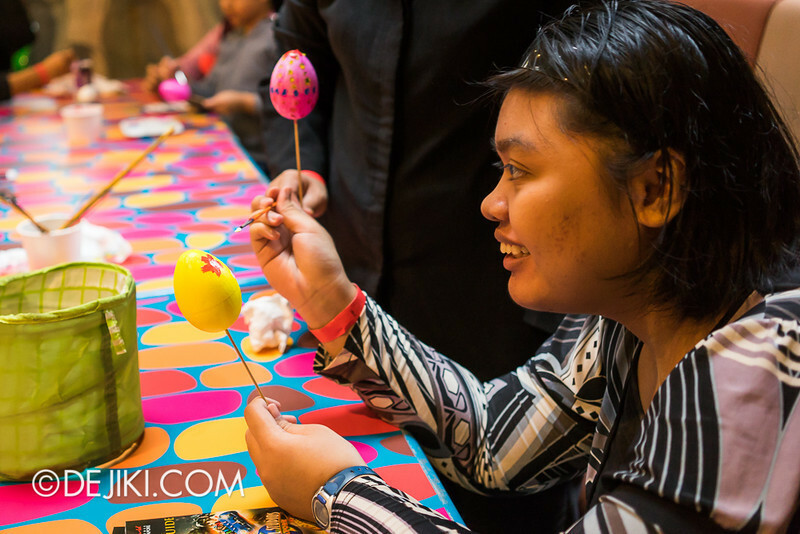 Grab a seat, make some new friends, and start colouring the eggs! 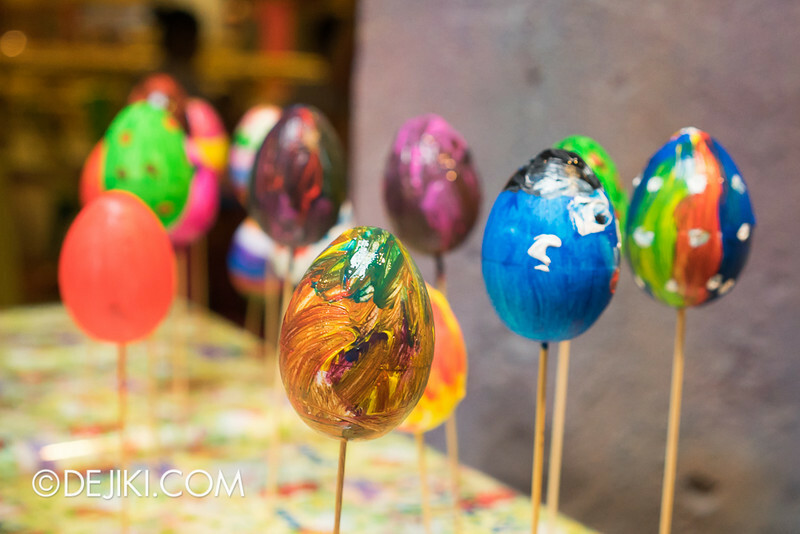 You can then leave your painted eggs to dry at a stand. Remember to collect them after the event! 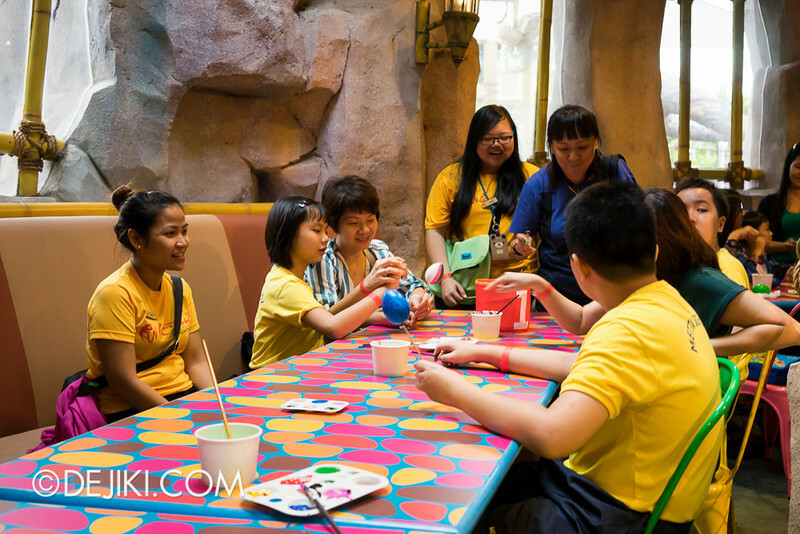 The Easter Weekend Special costs slightly more ($5-11) than the park’s other breakfast programme (Sesame Street at New York), since it includes two other activities. 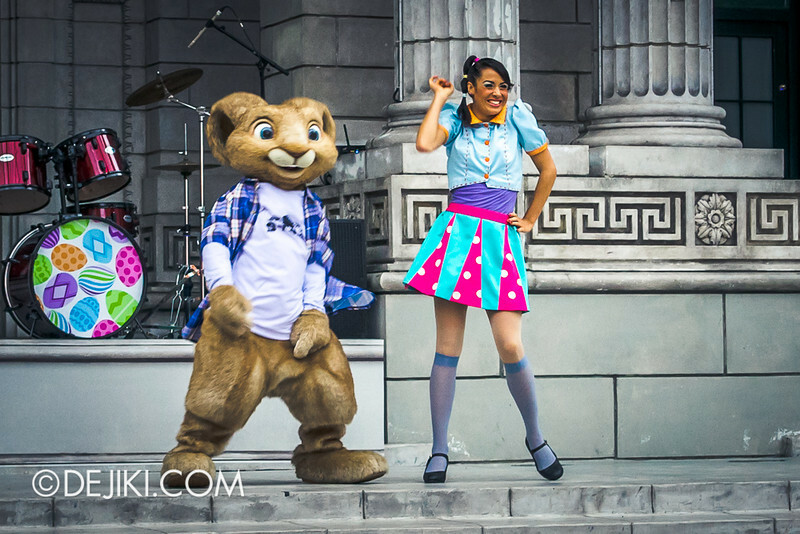 Perhaps the park could include some of the Easter Eggstravaganza characters for Meet and Greet during breakfast, to make the event more memorable. 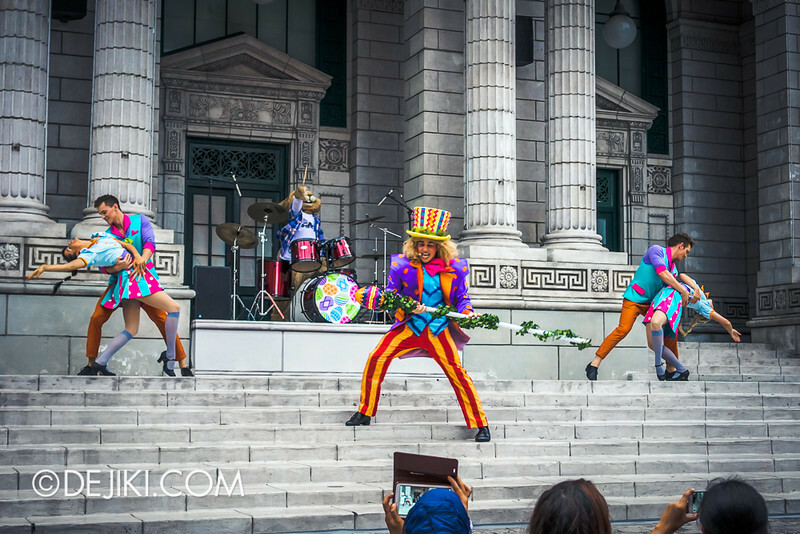 It’s great to see Universal Studios Singapore putting effort in seasonal programmes. 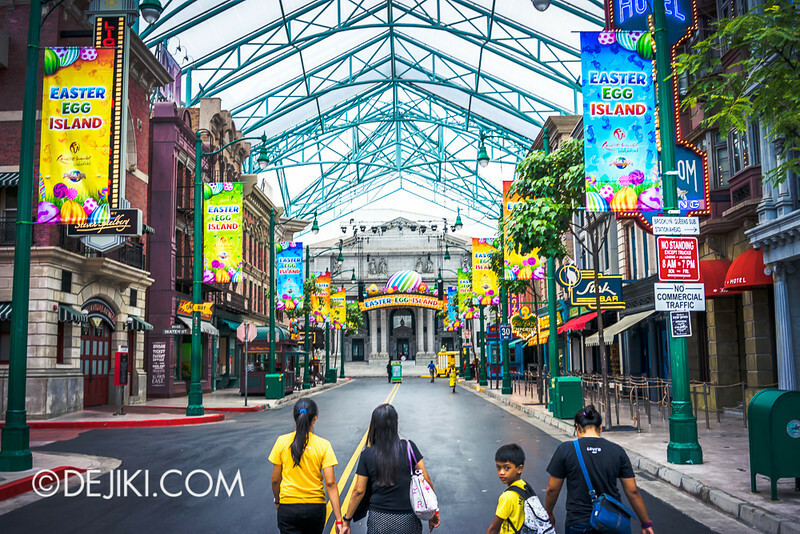 New attractions take a long time to be planned, approved, built and open – so the best way of enticing people to return is to carry out short-term events and make use of the park’s facilities: Halloween Horror Nights being the best example. I hope the park organizes more of such events in the future, while we wait for greater projects to materialize. 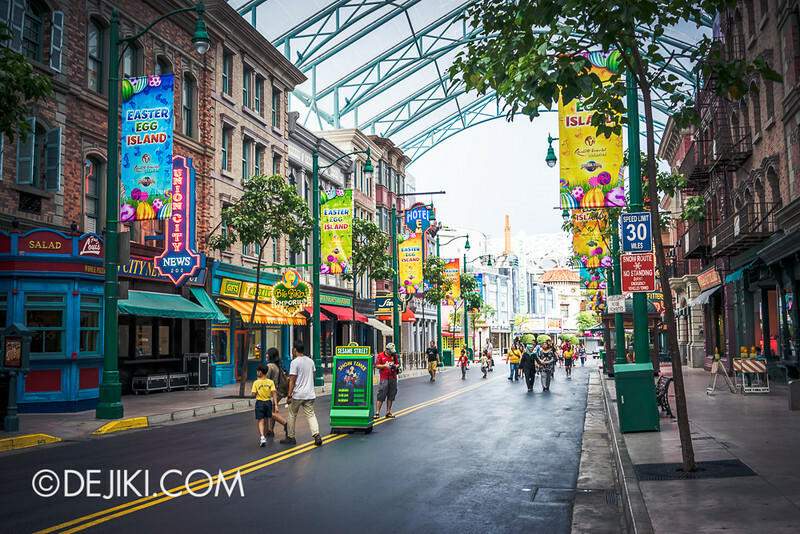 Check back in a couple of days for April’s issue of Universal Studios Singapore Park Update!